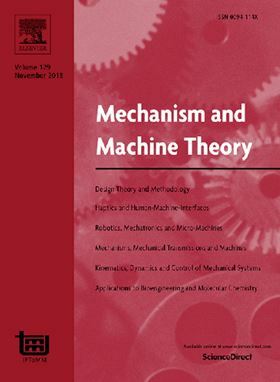 The research article 'Kinematics of a balanced vane pump with circular tip vanes' has been published in Elsevier journal Mechanism and Machine Theory (Volume 137, July 2019, Pages 355-373). This paper analyzes the kinematics of the vane-cam ring mechanism in balanced vane pumps, by considering both vanes with centered and not-centered circular tip. The motion of the vane, the position of the contact point and the evolution of the pressure angle are analytically determined in reference to a generic cam ring profile. The results of the kinematic analysis are used to obtain the constraints defining the admissibility of the vane geometry, which is described in terms of tip radius, vane thickness and tip center eccentricity. A parametric study is performed to show the capabilities of the proposed formulation and the influence of the vane design parameters on its kinematics. The analysis demonstrates that the vane kinematic motion in balanced vane pumps is mainly controlled by the tip radius and the tip center eccentricity, as long as the cam ring profile is defined. The tip radius is mainly responsible for the shape of the vane motion, while the tip center eccentricity has a major influence on its timing. Furthermore the effect of the cam ring profile is evaluated by demonstrating that shape and extension of the rise and fall phases influence on the vane geometry admissibility.